Your hair is not just there to make you look fabulous, it can serve a much more important purpose, like your overall health and any possible conditions you might not be aware of. Your hair can say reveal a lot of issues inside your body, you just need to know what to look out for. Below you can find 4 common hair troubles and their interpretation. Read the text and watch out for the symptoms, if you have any of them you should do something about it! It’s normal for your hair to fall out and this usually starts happening long after it stopped growing. 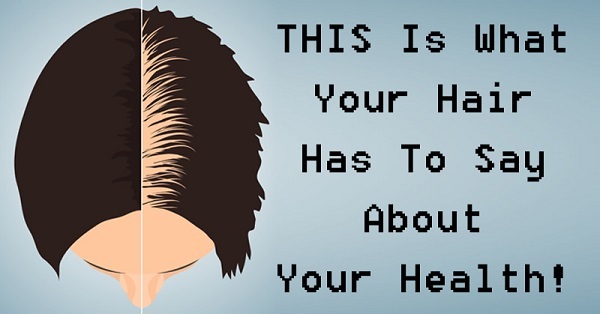 However, in some people hair starts thinning in the same time while it’s growing and this is mainly due to stress. Stress disrupts this normal process and you end up with bald spots and patches.